How to land a job at ZEISS? ZEISS is an international leader in the fields of optics and optoelectronics The German technology powerhouse has been contributing to technological progress for 170 years. Learn how you can turn your ideas into innovation at ZEISS? ZEISS is a leading global technology enterprise operating in the fields of optics and optoelectronics. The ZEISS Group develops, produces and distributes measuring technology, microscopes, medical technology, eyeglass lenses, camera and cinema lenses, binoculars, virtual reality headsets and semiconductor manufacturing equipment. The ZEISS Group is represented in more than 40 countries and has over 50 sales and service locations, more than 30 manufacturing sites and about 25 research and development centers around the globe.The company is headquartered in Oberkochen in southwestern Germany. What does ZEISS find fascinating about the optics sector? Optics, optical technologies and photonics are areas that shape our daily lives. For example: Have you used your smartphone to make a call, check your emails or surf the net today? Then it’s very likely that ZEISS technology helped you do so. Without our technologies, the modern world would come to a standstill: semiconductor equipment by ZEISS forms the basis for the flawless exposure of microchips, which are used in nearly every technical device today. Favorite fun fact about ZEISS? During the Cold War, ZEISS was split in two, with one company in East and one company in West Germany. 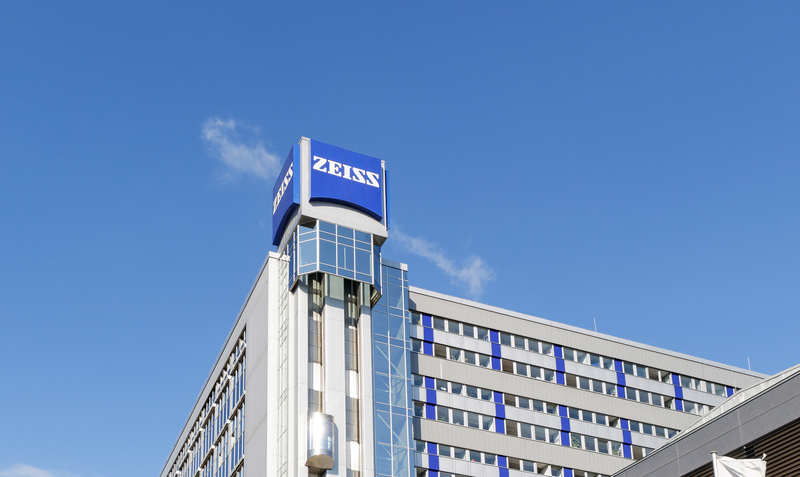 It wasn’t until 1991, 40 years later, that ZEISS experienced its very own reunification when the Carl Zeiss Jena GmbH was re-established as an independent subsidiary of ZEISS in Oberkochen. This reunification constituted a new chapter in the company’s history. How do Udacity hiring partnerships work? At Udacity, our goal is to make the connection between learning and jobs as direct—and as meaningful—as possible. We works closely with industry leaders such as SAP, Jaguar Land Rover or Audi to create our project-based learning programs. These unique collaborations ensure that students learn the technology skills that employers value most. Udacity’s hiring partners list which roles are open along with the role’s requirements. Udacity then puts qualified students and and graduates in touch with select talent managers. Did you know that ZEISS was at the first moon landing in 1969? ZEISS lenses were aboard the ship that Neil Armstrong and his crew used for their mission. The lenses were used to take the photos of the first moon landing and made their way all over the world. What is it like to work for ZEISS? For 170 years, ZEISS has embodied a pioneering spirit and a pragmatic approach. ZEISS offers its employees a modern working environment, above-average benefits and a host of opportunities for career development. Whether it’s a physicist conducting research, an engineer or software developer working in product management, or a skilled production worker, ZEISS offers a wide range of career prospects. What’s special about this? The company’s broad product portfolio ensures that ZEISS employees constantly face new, inspiring challenges. Projects spanning divisional boundaries and interdisciplinary teams are all part of the job. As a global portfolio company, ZEISS also offers a host of opportunities across the globe. How can I get a job at ZEISS? If you’re interested in working at ZEISS, please take a look at our social media pages, such as the ZEISS Careers page on Facebook, or those on LinkedIn and Xing. You can also find out more on the ZEISS careers website www.zeiss.com/careers. Here you’ll find a list of all the current internships, thesis placements and job vacancies. We also welcome impressive unsolicited applications. In order to continue growing positively, we need the knowledge and skills of an enthusiastic staff. Describe the ideal ZEISS employee. With our passion for top performance, we create customer benefit and inspire the world to see things differently. This is something we expect from our employees, too. The ideal ZEISS employee should be passionate about the ZEISS brand, be able to look ahead and have the specialist skills we’re looking for. > ### **How to land a job at …** > **SAP** "As global market leader for enterprise software and Europe's largest IT company we make a major contribution to the worldwide business digitization"
> **Audi** "Some call it work. We call it passion"
> **Jaguar Land Rover** "More than a million lines of code go into every Jaguar Land Rover Vehicle"
Can you share an inspiring recruiting story? With around 27,000 motivated and dedicated employees around the globe, our staff have plenty of unique stories to tell about recruiting at ZEISS. Hackathons, for instance, are a great way to meet potential employees. This innovative event format, which ZEISS has hosted in Munich and Bangalore, is a chance for participants to gain deeper insights into the company and experience first-hand how ZEISS teams collaborate and what technologies they use to do so. Are ZEISS applicants expected to have a computer science degree? The degree requirements always depends on the job at hand and the applicant’s qualifications. The desired qualifications are normally listed in the job description. If you have any questions, don’t hesitate to get in touch with the listed HR contact. In addition to formal qualifications, ZEISS pays special attention to each candidate’s personal skills. What does ZEISS expect from Udacity graduates? As a global leader in optics and photonics, ZEISS is always looking to recruit talented, motivated people. In addition to the classic scientific candidates from physics and engineering, we’re particularly interested in candidates with a background in algorithms, robotics and machine learning. At ZEISS there‘s a good chance that candidates will be able to pursue excellent career prospects through our Management and Expert Ladders. What else should Udacity graduates know about ZEISS? 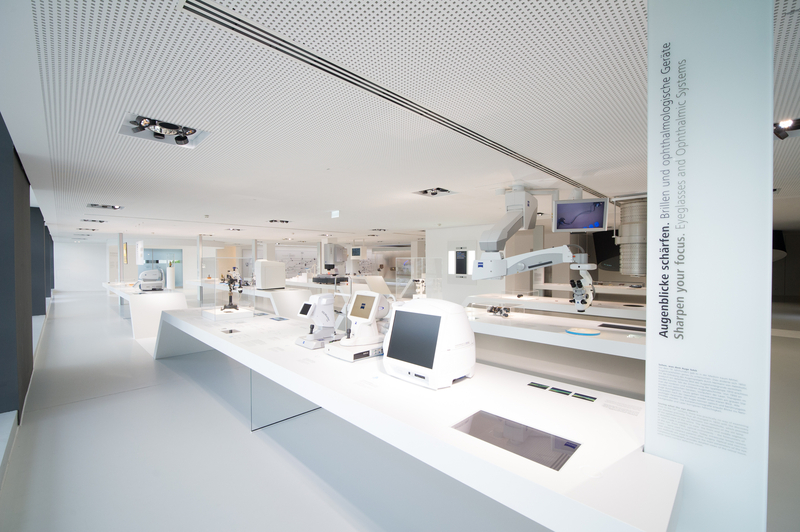 ZEISS represents innovation and its products and solutions help shape technological progress. We are specifically looking for applicants who want to help ZEISS shape the world of tomorrow.